EMTP is proud to say that we train more EMTs than any other school in the state and we have some of the highest pass rates on the NREMT computer exam. The EMT program content and design is based on the cognitive (classroom), psychomotor (skill), and affective (behavior/values) objectives specified in the U.S. Department of Transportation’s Curriculum for EMTs; in addition to being based in accordance with the Kentucky Board of Emergency Medical Services (KBEMS) regulations and the National Registry of Emergency Medical Technicians (NREMT). Therefore, once a student successfully completes the EMT Program that student will be eligible to sit for the NREMT examination. Upon gaining NREMT certification, the student will certified by KBEMS as a certified EMT in Kentucky. We believe learning should be fun and utilize games like Bingo and Jeopardy as a review – NOT death by power point. EMTP’s educators bring years of experience to the classroom to prepare you for the EMS field. Our faculty utilizes a facilitated learning approach that uniquely accommodates different styles of learning, because we understand that all students learn differently. 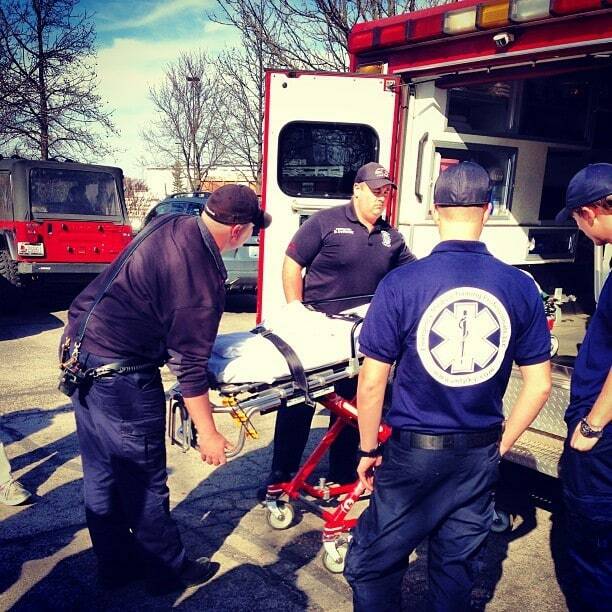 We invite you to take an EMT course that is ‘hands on’ and loaded with action.